Simply speaking, it is the concept of breaking down the 8-hour sleep schedule per day to several short naps throughout the day. These can be super quick 20-minute resting phases distributed evenly throughout 24 hours or longer naps involving one non-REM and one REM cycle. There are some people who believe they can do more by cutting down their sleep hours. Apart from getting more time to work, think and spend more time with their families, polyphasic sleepers often practice short-duration naps and such sleep patterns are often the key to great ideas and genius innovations. This somewhat “odd” sleeping habit is becoming popular among the Silicon Valley workers and shift workers. It is indeed much easier to make the most of the day when you are sleeping for less than 3 hours. According to the seasoned polyphasic sleep practitioners, you can experience the effects of complete rest from fragmented sleep spread out throughout the day. Is It Easy to Master Polyphasic Sleep? What Is Non-Equidistant Divided Sleep? 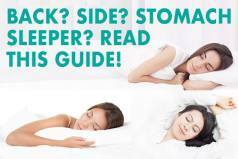 What Are the Different Types of Polyphasic Sleep You Can Try? What Is the Evolutionary History of Polyphasic Sleep? Why Is It Challenging to Re-Adapt to Polyphasic Sleeping Patterns Today? Why Should You Try Sleeping Polyphasically? When You Should Not Try Polyphasic Sleep? How Can the Quality of Food, Nutrition and Food Timing Affect Fragmented Sleep? What Should You Know before Committing to a Scheduled Napping Practice? Most people are monophasic sleepers or biphasic sleepers. They prefer to sleep in long duration or they take one small nap in the afternoon, usually between 2 pm and 4 pm. However, people who engage in polyphasic sleep patterns prefer taking short naps throughout the day. As per data from the Polyphasic Society, there are several sleep schedules that people follow all over the world. Experts state that spacing out the naps can maximize the time one spends in REM sleep. Spending maximum time in slow-wave sleep boosts restorative sleep. As a result, they believe that regular 8-hour sleep schedule is unnecessary. The Uberman Sleep Schedule is one form of polyphasic sleep that consists of small 20-minute naps that are equidistant from each other. Usually, six such 20-minute naps comprise the complete pattern. According to the experts, not everyone can be a natural Uberman. However, there are some sleepers who have practiced this schedule for over a year with no severe health consequences. The only constraint in each case was the requirement of a human alarm clock. It is quite impossible for people to stick to this schedule without the help of another human being. The usual 6-nap cycle only takes up 2 hours time during an entire day. The time-saving and somewhat unconventional sleep schedule has become a popular meme. It has been on the web since the early 2000s and thousands have tried this form of sleep over the last few years. For over a decade, fans and followers of the Uberman Schedule have been attempting to perfect their sleep-wake schedules to maximize restoration and their working potential. You can think about it this way – if you start today, you will save 5 hours per day, and that would amount to 1,825 hours per year. You would gain about 11 years in total, at an average. The more popular form of the Uberman Schedule is the non-equidistant Uberman where the body and the brain experience different kinds of sleep throughout the sleeping cycle. 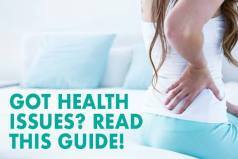 During a night or day we can experience different types of rest. The non-equidistant rest is possible for people who get less than 6 hours of sleep. You can shift from an equidistant eight nap schedule to a seven-nap schedule and finally to a six-nap schedule by eliminating a late-morning nap. It is all about adaptation and adjustment. The transition should always be gradual. This schedule allows weekend “sleep-ins” with eight naps and “work days” with six naps. The first step for adopting this kind of sleep is choosing a type. Set your goals and adapt them to your body’s unique need for rest. Various kinds of this sleep include the Everyman pattern, Dymaxion pattern, biphasic sleep method and Uberman method. The everyman sleep is one of the most popular sleep patterns. The original schedule consists of a 3-hour core sleep and three 20-minute long naps throughout the day. These naps are equidistant from one another and their position depends upon our natural drop in alertness or BRAC cycles. Over the years, it has evolved into a 3.5-hour core sleep with similar nap timings spread throughout the day. The partition of slumber depends upon the external cues your body detects through the retina, liver and several other places. You should always time your core sleep so your second REM cycle coincides with the end of your sleep. The Uberman sleep pattern is borrowed from the theories of Friedrich Nietzsche and it requires people to sleep only about 2 hours per day. It is sleep schedule that consists of 6 20-minute naps in four-hour intervals. That means you get to nap at 2 am, 6 am, 10 am, 2 pm, 6 pm, and 10 pm. People who have been practicing this schedule claim that they have more energy. History shows that prominent artists and eminent musicians practiced similar sleep patterns to fuel their creative instincts. The average Uberman gives you 91 extra days per year and you won’t experience jetlag and shift-lags since you’ll break free of the bonds natural daylight and night impose. Several research papers postulate that people with a double mutation in the DEC2 gene can sustain themselves for years with extremely short sleeping periods. This mutation increases the chances of people experiencing a regular number of REM cycles and deep restorative sleep phases even with shorter total sleep durations. Sadly, only about 1% of the human population has this gene. Buckminster Fuller came up with the concept of the Dymaxion Sleep schedule. People who practice this sleeping pattern nap four times a day for 30-minute duration only and have fewer REM cycles without any severe impact on their sleep pressure. Although we currently do not have any mechanism to modulate the effects of the circadian rhythm on the human sleep-wake cycles, polyphasic sleepers can successfully reduce sleep pressure to maximize restoration. A more realistic Dymaxion sleep schedule includes a few longer naps. It is an uneven sleep pattern that involves four resting stages and four waking stages. Long nap: this includes a 5-hour rest and about 1-1.5-hour nap. Short nap: this one involves about 6 hours of sleep per night and a 20-minute nap. Another favorite schedule is the equally bifurcated sleep pattern, where the sleeper divides his nighttime sleep into two equal parts of about 3.5 to 4 hours each. This form was prevalent in the western European regions in the 18th and 19th century. French royals used to sleep for about 3 hours during the first phase of the night, wake up to write or read or pray and then go back to bed in the wee hours of the morning. This kind of sleep has been around for quite a while. Some people believe that similar sleeping patterns existed to support sustenance, gathering-and-hunting lifestyle and facilitate complete restoration in the ancient times. Patterns of bifurcated sleep and polyphasic sleep are predominant in the 18th and 19th-century literature. People have made a few changes in these sleep patterns that have given rise to the modern Uberman sleep and Everyman sleep patterns. No matter how radical these schedules seem, you must remember that none of these are brand new. People have studied the human body responses to circadian rhythms for ages and developed several poly-stage sleep patterns that can foster complete rejuvenation within shorter periods of time. According to many noted historians and anthropologists, polyphasic sleep has its roots in the environment rather than physiology. Even today, fragmented sleep is common among the younglings of almost all mammalian species. Thomas A. Wher discovered the persistence of biphasic sleep patterns among human beings as far back as 800 BC. His study involved a group of 14 subjects. He put them in an artificial environment devoid of sunlight for 30 days. As his research advanced, he noticed that these subjects started sleeping according to a bimodal pattern. Two 4-5-hour blocks of sleep separated comprised their total, and they lay awake in between these two blocks quite peacefully. This showed the world that the biphasic sleep pattern was, in fact, the most ancient of all sleeping patterns that our bodies naturally adopted. Polyphasic and biphasic sleep might be our “default” rest setting and we might be struggling in vain to conquer monophasic sleep. Interestingly, segmented sleeping patterns may have been prevalent before the founding of the ancient civilizations. We have the shortest resting phase among all primates, and research conducted by the department of evolutionary anthropology at Duke University shows that segmented sleep might have something to do with our cognitive capacities. The shift in sleeping patterns began about 1.8 million years ago. The discovery of fire and adaptation to cave dwelling may have fueled the practice of continuous sleep. Monophasic sleep enjoyed three-fold advantages including warmth, security of sleeping in groups and better REM sleep that propelled cognition and memory. It only meant that a modern human being did not have to sleep as frequently and yet enjoy the benefits of complete rest at night. It seems like evolution pushed us towards the monophasic sleep pattern in the last couple of million years. It might seem counterintuitive to go back to polyphasic patterns of sleep until you consider the challenging reduction of the resting hours we are about to experience. Shifting to a new Uberman pattern or Everyman pattern of sleep can take considerable effort since we are pushing ourselves towards achieving the same level of comfort with reduced sleeping hours. You could say that we are looking towards undoing what millions of years of evolution have done to our physiology and habit. Adapting to the polyphasic sleeping patterns can be challenging without the correct guidance and help. In addition to a “human alarm clock,” you will need the correct information. The duration of the adaptation process depends on the body’s response to the circadian cues. You can begin by napping every 3 hours or 4 hours depending on the synchronization with your internal body clock. The “zombie mode” is an unavoidable part of the Uberman if you decide to skip the exaptation. Embracing exaptation will help you alleviate these symptoms through the practice of an eight-nap schedule. For some people, the adaptation process takes shorter than a month, and for others, it can take more than a month. Most claim that this period of increasing exhaustion, predisposition to fatigue and occasional sleepiness can last for more than a month for a regular sleeper. 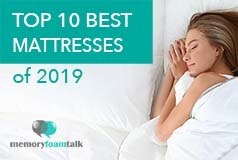 To nap better and adapt faster you may need a new quality mattress like are those we have in our best mattress reviews guide and a comfortable pillow, or even an adjustable bed with special features that will stimulate relaxation and rejuvenation. Those who practice Ubermen sleep patterns are usually able to shift their resting patterns without disturbing the natural rhythm. With daily practice, people are often able to overcome their tendency to revert to monophasic sleep. Even missing naps or oversleeping during one does not interrupt the Uberman routine upon extensive practice. Most of us love to sleep. We rarely consider the fact that we spend about 26 years (of an average lifespan) in bed. Sleep can boost health and immunity and sustain memory, but it is complicated for many of us to get 8-hour long resting phases on a regular basis. A correctly segmented sleep pattern can help you feel refreshed and rejuvenated with lesser than one-third of the time you spend sleeping right now. You can dedicate more time to regular activities – Whether it is studying, sports, meeting with your friends or browsing the web, you will be able to do everything, every day, without losing your time on essential slow-wave sleep. In fact, with several sleep phases, you will be able to experience more than one first-task-of-the-day! Go to bed late, yet wake up early – All different types of fragmented sleep support late bedtimes and early wake-up times. You won’t have to leave a party early or a movie halfway because it is time for you to hit the hay. You will also be able to enjoy your morning walks and your morning coffee even though you go to bed late. In between, you will not feel tired and you won’t feel the need to go back to bed. Better time management – Have you always struggled with your work schedule, family time and self-improvement activities? People today feel they don’t have enough time more than ever. Finding a balance between our responsibilities and our hobbies is almost impossible. However, the people who follow the Ubermen and Everymen sleep patterns always have time for exploring new things and meeting all their responsibilities. Enjoy REM sleep – Due to the growing sleep pressure, you will never have to wait to go into REM phase. Adults spend about 1.5-hours per night in REM. When you break your sleep down to 30-minute naps, the surmounting sleep pressure allows you to delve right into a REM cycle without much prologue. That restores brain activity, boosts cognition and improves general health. Improved cognition and decision making – REM sleep frequencies can determine the power of cognition among people, and it can boost mental clarity too. It restores the neuron networks and promotes short-term memory conversion. Therefore, any form of sleep that facilitates REM sleep has the power to improve mental clarity and overall mental capacity, increase comprehensive skills, hone problem-solving skills, etc. Multiple short breaks throughout the day – Polyphasic patterns give you the space for several brain-breaks in 24 hours. Each nap is about 4 to 6 hours apart depending on your sleep type. With several REM cycles throughout the day, your brain easily reaps the benefits of fast, frequent reboots. Persistent happiness – Today, one in six adults in the US takes antidepressants. The lack of satisfaction, surmounting pressure at work, increasing instances of aggression and unhealthy competition are all contributing to the rising frequency of depression among children and adults alike. Recurrent REM cycles throughout the 24 hours can help them overcome the negativity in their lives that fuel depression. People with diagnoses of depression have found relief after sleeping polyphastically for extensive periods. Several informal pieces of evidence show a robust bond between this form of sleep and happiness. Weaning yourself off long hours of sleep is not a new idea but doing so takes some time. You should remember that fragmented sleep can have different effects on different people and you should always stay in touch with a sleep expert or a physician when you switch to a new pattern of resting. People with a severe heart condition, viral infections and other problems with the immune system should not attempt this form of fragmented rest. There have been several instances of people falling sick within the first couple of days during the adaptation stage due to ill-effects of sleep deprivation. Additionally, research shows the presence of an immunity suppression stage at the beginning that can cause people to fall sick. Alcohol and other drugs impede proper REM sleep. People with a drinking problem should not attempt fragmented sleeping since getting quality sleep in short bursts becomes almost impossible when your brain is on any substance. People, who have a severe dependence on caffeine, should also refrain from adapting to a new sleeping format. Caffeine delays sleep onset, and this can always compromise the quality as well as the quantity of sleep you get at the end of 24 hours. If you are obese or if you are suffering from any deficiency diseases, you should always consider your GP before boosting your awake-time. Cutting down on your rest can cause your body to tire out much faster than usually. To successfully adopt a more productive daily routine you should first improve your diet. Control the level of sugar and cholesterol in your blood and monitor your blood pressure, before you start practicing the new sleep routine. Leonardo da Vinci – He used to sleep for about 1 to 2 hours per day only. That did not stop him from painting the famous Mona Lisa painting or visualizing the first flying machines. There is an official da Vinci sleep schedule that involves 10 minutes of napping every 2 hours. Nikola Tesla – He was the king of polyphasic sleeping. We owe him many inventions including the methods to generate alternating current. He is famous inventor who made possible to wirelessly transfer the electricity for miles and if you are wondering how he found the time to accomplish all this, it was because of his specific sleep routine. Thomas Jefferson – He was one of those people who woke with the sun and stayed late for all parties. He used to work till late very frequently. His regular resting time included 4 to 6 hours, depending on his workload. Buckminster Fuller – He is famous for quite a few things, but he is most famous for Dymaxion sleep. According to a TIME magazine, Fuller slept polyphasically for over two years while working on several of his creations. Salvador Dali – He was well-known among his peers and fans as the artist who never slept. His eccentricity and creativity needed more than the usual monophasic sleep could give him. He often mentioned how the sporadic bursts of short-duration rest inspired him to create some of his masterpieces. You can find more details on his unique method of polyphasic sleep in “50 Secrets of Magic Craftsmanship”. Thomas Edison – Edison was famous for sleeping little and accomplishing a lot. There over 1000 patents to his name. His ideas and innovations revolutionized the world. Not much is known about his polyphasic practices, but his love for segmented sleep is quite popular. The quality of food, nutrition and food timing have a lot to do with the sleeping schedule. During the exaptation and adaptation phases you should ensure a proper intake of nutritional food. Deficiency diseases that are the result of the lack of proper eating habits can worsen due to changing rest schedules. Eating high-density food like shellfish, seaweed, leafy greens, pumpkins, chia, quinoa, rice, cruciferous vegetables and berries can help in combating any deficiency that may arise during this period. Proper timing of your meals is just as critical as what you eat. You should always eat within the first 30 minutes after waking up. You should not eat within 2 hours before commencing the core sleep period. You should take your meals a couple of minutes before you go to bed for a nap. You should restrict most of your carbohydrate consumption during the middle of the day (during peak daylight). Think of switching to foods that can be digested faster since gastric emptying is faster in REM sleep. There are no specific Polyphasic Diets, but paleo nutrition diets and ketogenic nutrition diets abate fragmented REM-rich sleeping patterns. Ideally, any low carbohydrate, high fat and high protein diet with tons of digestive fibers are great for fragmented sleep patterns. Start with the easiest schedule that suits your body and resting needs. Avoiding caffeine altogether might be a bad idea in the beginning. Restrict coffee to the mornings. Always have a system of waking up at the end of a REM cycle. That will prevent you from waking up all groggy. Learn how to control your dreams. Lucid dreaming can boost your creativity and awareness. With all the extra time in hand, you should learn how to meditate. Meditation will boost your cognition, mental capacity, and restoration. It is alright to fail. Changing your sleep schedule from monophasic to biphasic and finally to polyphasic has never been easy. In case you fail to stick to your new routine and oversleep at times, you should always try to commit to the next sleeping cycle. Remember not to give up. Good things in life always take a little time and a lot of practice.